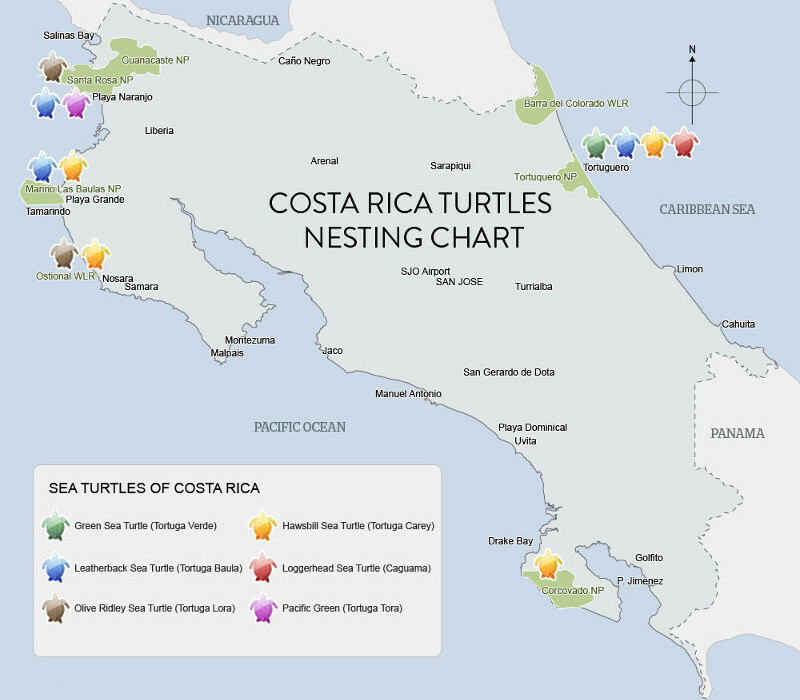 The beaches is one great reason to plan a visit to Costa Rica. 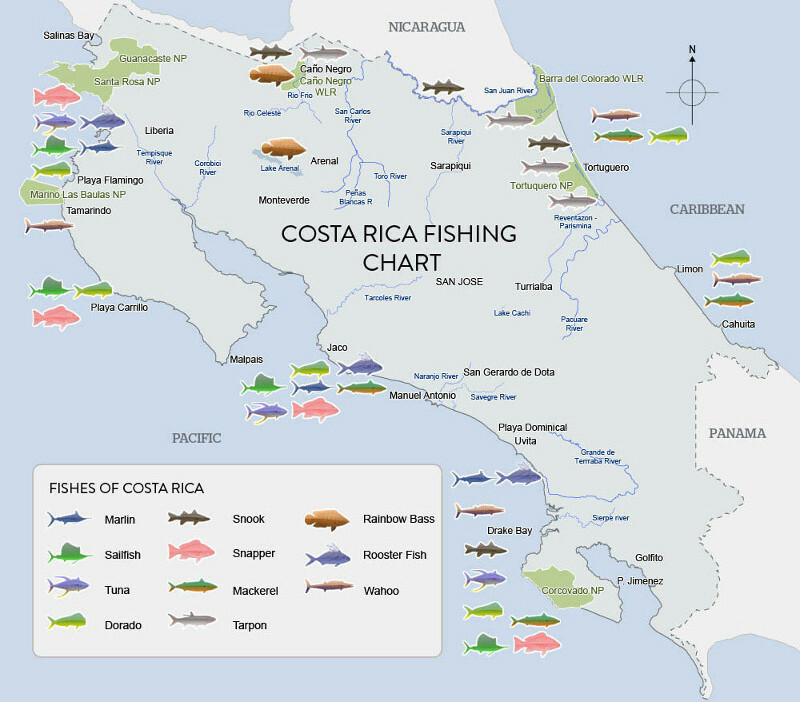 With coasts on both the Pacific Ocean and the Caribbean Sea, Costa Rica has a lot to offer in this subject. You will be able to find all kind of beaches, from white sand beaches to black volcanic sand beaches, from beaches with calm waters for swimming to beaches with great surf spots. 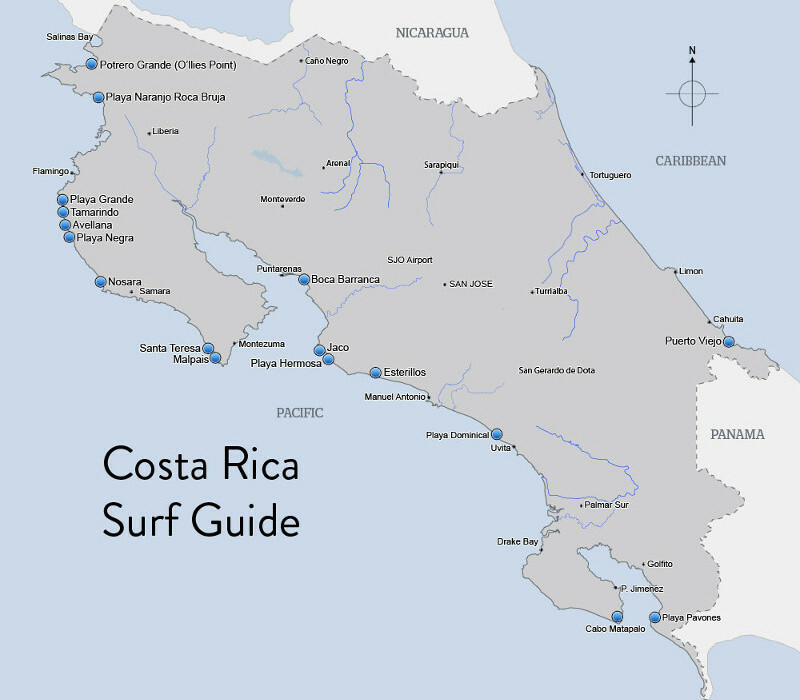 In summary, in Costa Rica you can find the perfect beach for everybody. 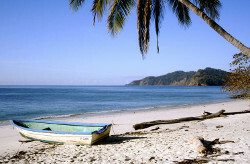 Many of the beaches in the country also have some characteristics in common. All of them offer waters with great temperatures for bathing and swimming and most of them will delight you with a lot of nature (flora and fauna). 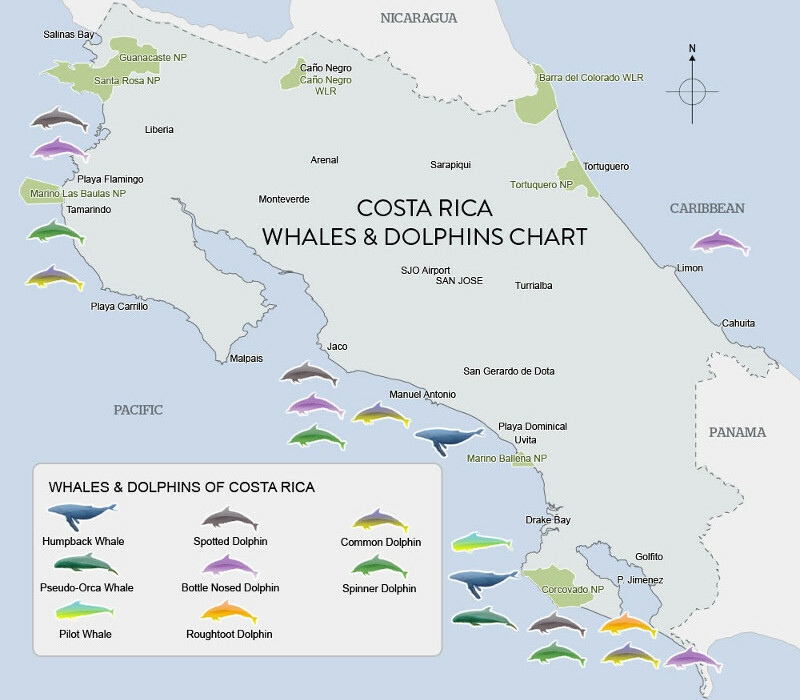 Below you can find 4 different topics fishing, surfing, turtle nesting and watching whales and dolphins. Click on the pictures that represent each theme to reveal the map with the best spots. Finally, you have to take in mind that some of the beaches are very popular and can get somewhat crowded on peak season, while others are not that explored. Let us know if you are looking for a beach with nightlife, or an unexplored beach or a calm water or a surf spot... no matter your needs and expectations we can help you select the perfect area for your trip.